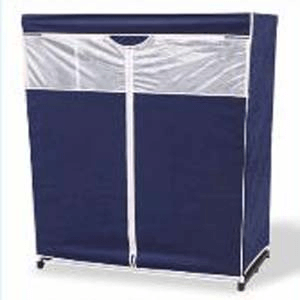 48 Inch Wide Portable Storage Wardrobe. Dustproof Storage. Extra Storage Space For Garments. Available In Navy Blue and White. Easy Assembly Not Tools Required.